A beautiful morning this morning… if you’re a duck or a swan! We’ve seen this all before somewhere! We’re not worried just yet though, despite the rising waters of the River Avon, there are no imminent flood warnings out for us here ‘yet’. 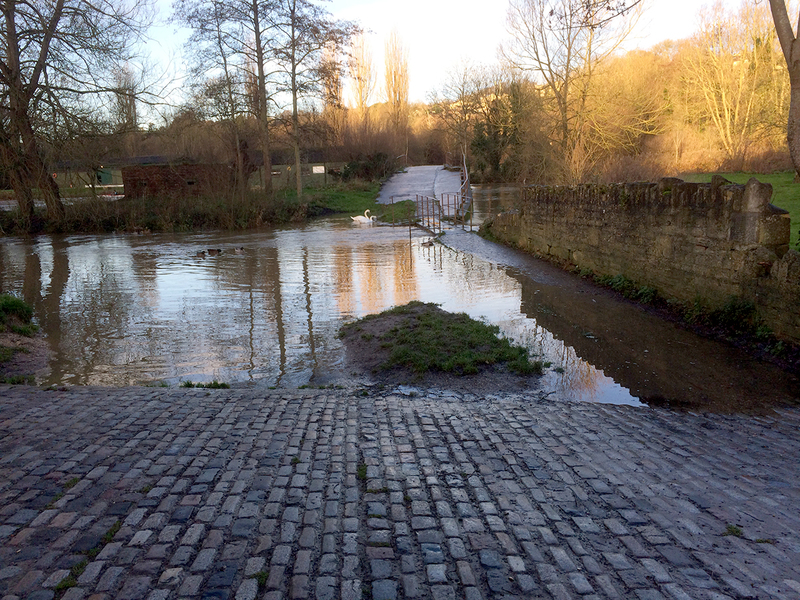 After years of river watching spirits are still high down at the Tithebarn Workshops… it’s not time to panic until it reaches the top of the cobbles, then we might have to start taking precautions. There’s still time to come on down and pick up some Christmas pressies! This entry was tagged beautiful morning, Flood Alert. Bookmark the permalink.